Mechanics Lien is a legal right of the professional workers in the United States like the contractors or the subcontractors. It is an agreement in the favor of the workers who provide assistance in repairing or building a property for an individual. Mechanic’s Lien is a professional worker’s right on the property after they have worked on or repaired or built, it implies even if they have invested materials for the construction in case of a failed repayment. This law enables the workers or the mechanics to hold their right on the property till the time original property owner fails to make the promised payment to the mechanic for their services. It protects the payment options of the contractor as they have invested their time and hard work to build or improve the property. Why Mechanic’s Lien is Important? Mechanic’s Lien was first introduced by Thomas Lien to build and promote the idea of more building construction in the city; however it was at that time already quite famous in other countries like France, Spain etc. This gives insurance to the worker who has invested their time, material and hard-work on repairing or building the property. Mechanic’s Lien helps promote work and that too without the fear or not getting paid for it. 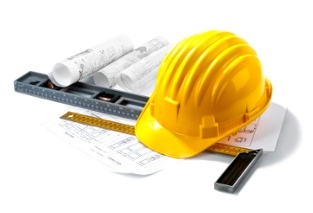 Contractors, subcontractors, workers and even people who provide material for the construction purpose, can place lien on a property on which they have worked, in case a contractor fails to pay the subcontractor even after getting paid from the property owner, still the subcontractor has the right to place lien on the property. Like for example a contractor worked on a property and provided for the raw material for construction and the home owner denies to or fails to make payment, then the contractor has full rights to file a Mechanic’s Lien. Lien is a very serious right and the people are expected to take it seriously as it is to ensure the workers interest to get paid for the services that they have provided. How to File Mechanic’s Lien? One should first make sure that they are eligible to file a lien, like are you within the deadline and have you sent the primary notice that you were supposed to send. Then one needs to draft the notice and inform all the involved parties that a lawsuit would be filed. There would be trials to and court would come to a conclusion, in the fine interest of the contractor.